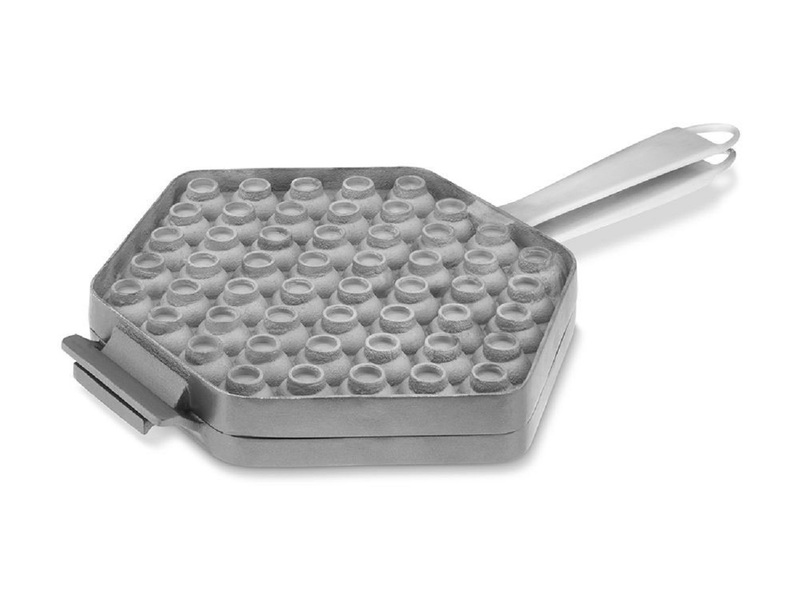 The Nordic Ware Egg Waffle Pan from Williams-Sonoma commercializes what has traditionally been a staple breakfast food item on the streets of Hong-Kong. 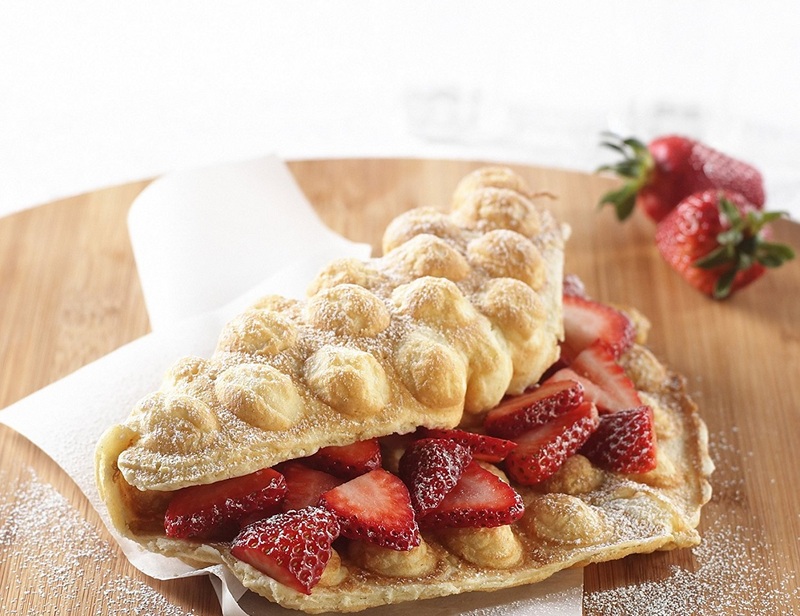 Now you can make these lip-smacking and filling doughy treats called egg waffles in your own home. 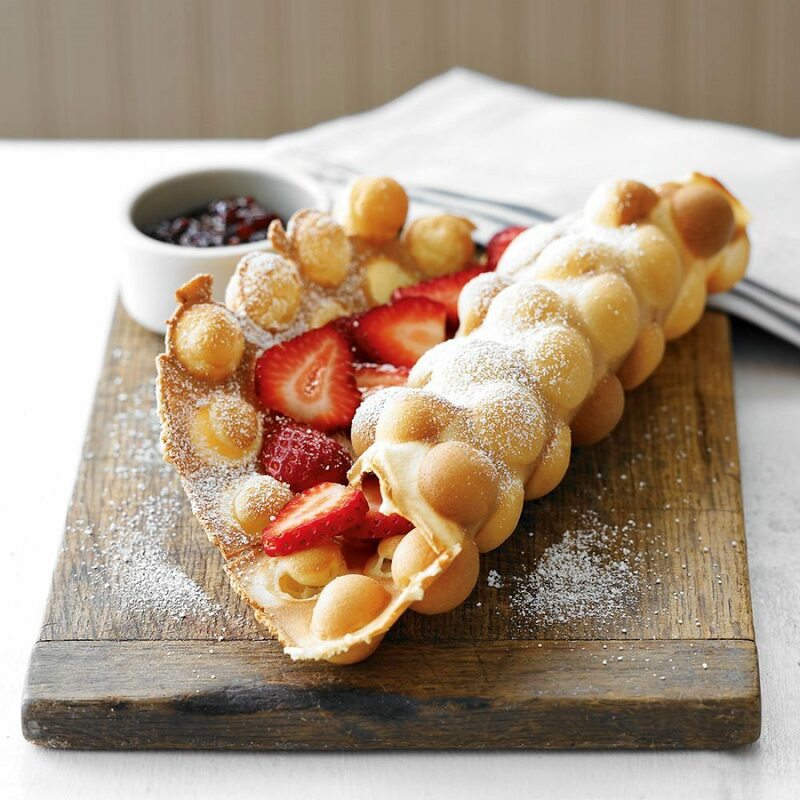 Just think about egg-shaped waffles, all crisp and golden on the outside, with tender cream-filled goodness on the inside. 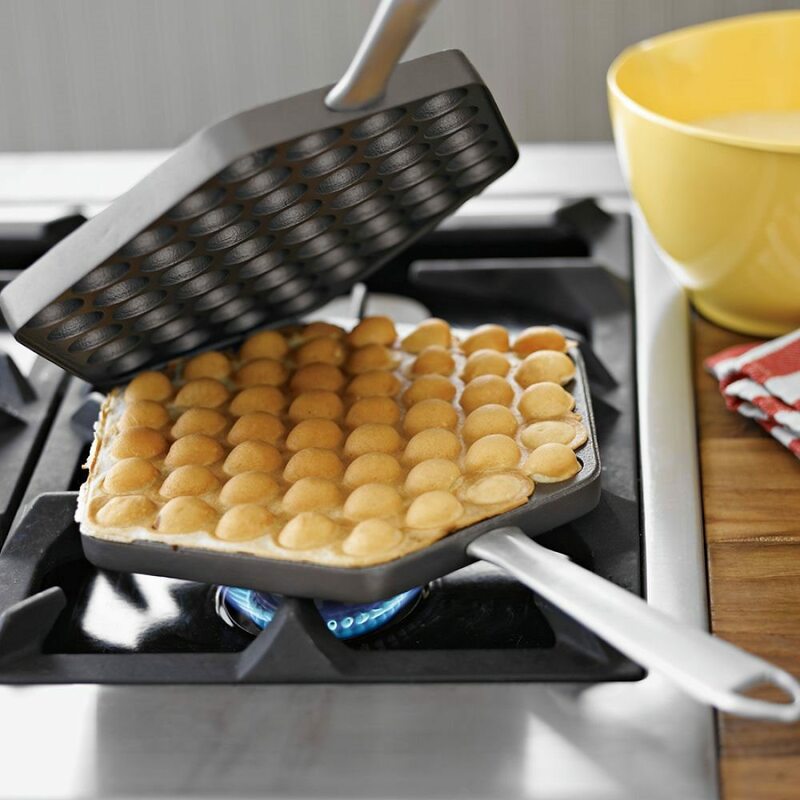 The Waffle Pan is made of high-strength cast-aluminum, which means it will last forever and distributes heat evenly so that your egg waffles will be the same shade all over. The handles are likewise rugged stainless steel, and the non-stick surface releases the entire waffle. The hinge allows the two halves of the pan to be separated, making it easy to clean afterwards.